I'd like to begin by thanking all of you for reading, and especially those who posted supportive and sympathetic comments regarding my mother-in-law's battle with cancer. Your words were comforting and I appreciate all of you for taking the time to offer love and caring. My kids are doing well. They are grieving in their own ways. My oldest has been a little short-tempered lately. My son had been chewing the inside of his lip and it got swollen and infected. I took him to the dentist. He also cried in his sleep one night and I held him in my bed, giving Reiki to help him. He didn't remember it in the morning. My youngest daughter had some potty issues - some accidents that were uncharacteristic of her. We understand. We know it's a process that will take time to heal. One thing that I know has been most powerful from the experience is that my kids will always know the value of what you do for family. No matter how little or much my mother-in-law needed us, we were there for her. There were no questions. We were there. Every day, as long as she needed, until it was round-the-clock and even then. We were there. My kids didn't want to leave her side, even when she couldn't acknowledge their presence for more than a few seconds at a time. They saw, lived, and understood that this is how a family cares for each other. I am moved and grateful for the opportunity to instill this value through our actions. We are also grateful that Evan had this time to be able to devote to caring for his mom, as I mentioned in previous posts. Perhaps now he will be in the right alignment for the perfect job and him to connect. Divine timing. He will never have the guilt that would have come from needing to work, not having vacation time, while his mom needed him. He was there. It's a blessing. Interesting was that the night before her funeral, I was online and a friend who I hadn't talked to in a while suddenly intiated a chat with me to tell me that she was in labor. I wished her blessings on her birth experience (she had a healthy and beautiful baby boy later that evening), and was truly thankful that the perfect timing of her chat was there to remind me that life begins anew, even as one life is over. 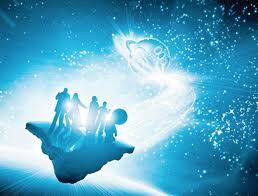 The soul is a part of Source - we are ONE - our soul is our God aspect. It is housed in the body so we can experience life, but not separate - ever -from Source. The feeling of being separate is an illusion so we can experience life in physical form. It's a gift. This is a different sort of post I'm writing because I'm trying to sort through some very difficult feelings. My mother in law is dying of cancer. There. I said it. It's obvious to those who see her that she is not getting any better, in fact, her energy seems to be waning daily, her pain increasing, her frustration growing, and she is mourning the idea of her own life ending. I feel helpless. I give her Reiki, hoping to soothe her, hoping to relieve pain, hoping to do something, anything to help. And yes, I'm there each day doing whatever she needs from watering the plants to drying and styling her hair. But it isn't enough. I am in pain watching my husband deal with his feelings surrounding seeing his mother this way and feeling equally helpless, despite all the many ways he is supporting and helping her. I see my children concerned over her appearance and her obvious distress. They shower her with love. And the critical voice in my head says, "It's not about YOU, Alice." But it is. This experience isn't only happening to my mother in law. It's happening to our family. We are watching, hoping to do something to fend off the reality of what is happening before our eyes. We are all affected, all in distress. And also, as I'm often in the company of other energy workers, people give me suggestions. They tell me to get such-and-such a juice, because it's a miracle cure and it worked on their mother/father/friend. It's only $800 for a case of it, of which she'll need to drink a bottle each day. I feel vulnerable to the drive to do something...could THIS be it? Or something else? What about what we're already trying? If she weren't taking what she's taking, would she be even worse? Should we try something else that sounds promising and find a way to pay for some? Or should we accept what is happening, knowing that if we HAD tried something, the right thing, that maybe she would have a chance of getting a little (or a lot) better? Or not. The maybes are hard to deal with. The doctor has given up and suggested palliative care. The world hospice is a give-up word to her, and a telling word to us. It hurts. What's the Reiki doing, I ask myself. Am I receiving enough to stay in balance? Am I giving enough to make a difference? What else can I or should I be doing? I don't know. I feel for my husband. He is dealing with so much. He is still looking for a job (although it is a blessing that he doesn't have one right now so he can also be there to help her, instead of being torn while at work, wishing he could be there for her when she needs him). He is caring for the kids while I teach Reiki and promote my local classes. He is taking care of many of the household chores. He has a lot on his plate. And he is (usually) gracious about it, although I know he feels overwhelmed. We believe we are in the right place at the right time, although this is a very hard time indeed. I can only hope that the tools we have for coping will help us find balance and stay in a place of hope and healing in whatever way we can as things unfold. Please, angels, surround us all in love and comfort and carry us through this time. Things are in full force now! I've started creating and launched the Reiki Awakening Energy Healing Certification Program. Since I've started, it seems that the Universe is bringing me the people and ideas I need to make things work. For instance, a very high-priced local marketing expert has offered me his services free of charge. A friend has offered me knowledge and the shared use of the videoconferencing software for teaching the sessions. The idea has been warmly received, and students are signing up. A dear friend is helping me with making videos (posting soon!) and distributing flyers for the local program. I feel very supported! And also, since I've been back from Lily Dale, I've had some readings. A student of mine, Louise Hobson, has started giving Oracle and Soul Card readings, and she offered me one of each. Also, my teacher Connie has done a reading for me. All of the readings were powerful, positive, supportive, and also practical. I recommend Louise and also Connie to anyone who is looking for some solid guidance. Click on either of their names for links. Louise's link is her email, and Connie's goes to her website. Their rates are reasonable and their accuracy is excellent. I felt like the messages were really directly for me, and I feel like all is really happening as it seems to be - for the best, for success, and with the feeling of swimming with the current. Attending and giving speeches is part of your spiritual path and purpose. Be open to teaching and learning. The angels have sent you this card so you will know that you really are hearing your angels message on this topic. the angels will guide you in your practice- " this was very very strong". Give any thoughts or worries or concerns to them.. then listen to their replies. This will come to you as ideas and feelings. they will help you choose the right venue and the right audience for your teachings. Also, you are guided to attend workshops to further your spiritual path and education. Ask Archangel Raphael to support everything in this endeavor- including tuition fees, transportation and lodging. The way is clear for you to give and receive. Visualize all the positive benefits you receive when you teach- is what they asked me to tell you. when your visualization is complete say "Thank you universe for my wonderful experiences giving workshops for people who receive blessings from the teachings that come through me"
You, girl are flying high & you are supported by the heavenly host and all Spirit has to offer. You are trusting Universe to provide – doors are being flung wide open & you are to go boldly thru them knowing you are protected by angels. Your new project could be bigger than you think. There are ideas that you have not been given yet as you are simply spread too thin as it is. Really assess EVERY little thing you do with RA & if anyone else can do it (or be trained in under 15 mins) have someone else do it. Gabriel is with you in your writing…if you feel a block call on him..as well he is sent to give you fresh vision, new business ideas as you write. Some of the opportunities flying your way have a short window of opportunity time wise –you won’t have opportunity to research as you would like but you do have an inner knowledge – trust it and act on it without delay. DELEGATE where ever & when ever possible. Build in Alice time & relax & rejuvenate . You will need lots of energy in the fall/winter. All great advice, and all very supportive, seeming to completely validate what is happening around me and motivate me to continue boldly, removing any fears associated with taking such a huge step forward. It's good to be able to grab on and push for making my dream happen, while feeling supported by the Universe! I am keeping up the expectation for success and gratitude for the gifts that are coming to me daily. Having positive expectations and trusting that the Universe is helping me seems to be working. I'm glad to report it, and will keep it up! I figure that anything I can learn, I can teach. That's why I teach Reiki and intuitive development subjects. I am aware of how I learned these skills, and I bring the process to others. I want everyone to have the benefit of being able to learn these skills. If I can learn from scratch and get this far, anyone else who's interested can too. There's great joy in showing people how much power they have that they didn't know was there before. I consider this ability a blessing, and love to share it. 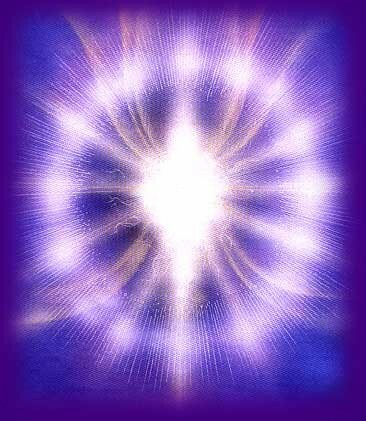 The angels have sent you this card so you will know that your really are hearing your angels message on this topic. the angels will guide you in your practice- " this was very very strong". Give any thoughts or worries or concerns to them.. then listen to their replies. This will come to you as ideas and feelings. they will help you choose the right venue and the right audience for your teachings. Also, you are guided to attend workshops to further your spiritual path and education. Ask Archangel Raphael to support everything in this endeavor- including tuition fees, transportation and lodging. The way is clear for you to give and receive.